Stylish comfort with a nonrestrictive fit. 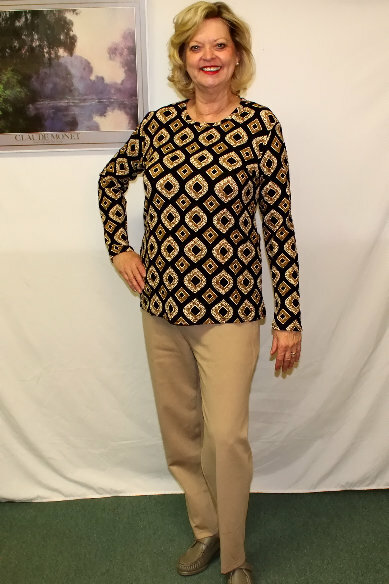 This stylish two-piece set features a long sleeve printed top and solid coordinating elastic-waist pants. Durable polyester blend. You will not be sent the exact item shown in the picture. This is a basic product style usually ordered by nursing homes for their residents/patients. The basic product is only a representation of the basic product. It comes in a variety of different treatments, styling, colors, patterns and fabric contents in order to keep every resident looking different. Please see WCO01i in this style to receive what is pictured.